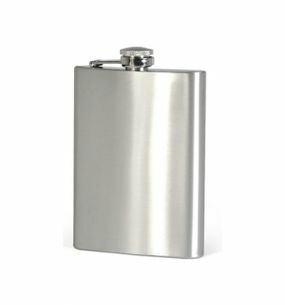 Sleek, stainless steel Flask are ideal road but also nice, original gift - so if you want your family members, friends, or business partners to surprise some small but interesting gift, we recommend purchase pleskačky from our offer. 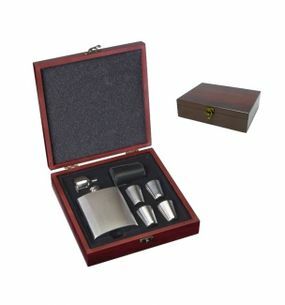 Darčeky a doplnky k vínu Gift set Ploskačka 0.2 liters with accessories Pretty and practical gift set is suitable as a nice and original present, or as a faithful and reliable guide on the road ... 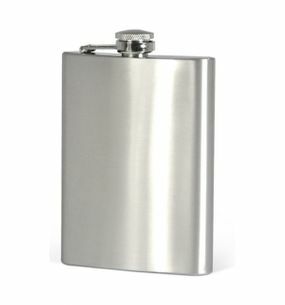 Stainless swatter on hard alcohol is equipped with hinged lid, which, thanks to ingenious attach not lose ..
Darčeky a doplnky k vínu Hip flask 60Z (0,2 l) Stylish, elegant swatter with a capacity of 0.2 liters, suitable as a nice and original present, or as a faithful and reliable guide for traveling ... Stainless swatter on hard liquor is equipped with hinged lid, which, thanks to ingenious attach can not lose ..
Darčeky a doplnky k vínu Hip flask 80Z (0,25 l) Stylish, elegant swatter with a capacity of 0.2 liters, suitable as a nice and original present, or as a faithful and reliable guide for traveling ... 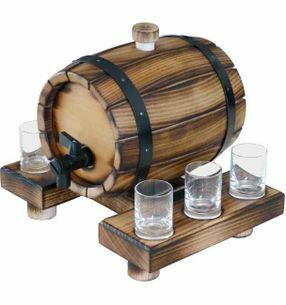 Stainless swatter on hard liquor is equipped with hinged lid, which, thanks to ingenious attach can not lose ..